Chef Dave has everything he needs in this truck. 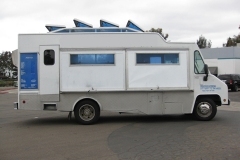 Of course, a mobile kitchen needs mobile advertising. 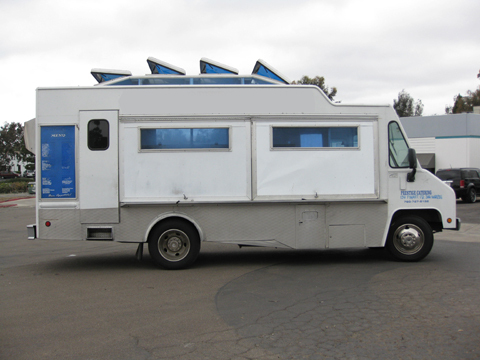 We wrapped this lunch truck with an eye catching design to match his branding and web site. You don’t have to be a large catering business to get your truck wrapped. Vehicle graphics are an affordable and highly effective form of advertising as well as identity branding tool. 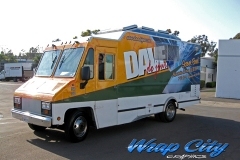 Vehicle Wraps for all areas of San Diego Stop wasting money on traditional advertising! Reach new clients and easily promote your business. How is that possible you might wonder? We have the solution for you. Vehicle wraps are emerging as one of the most cost effective ways to get your company recognized. 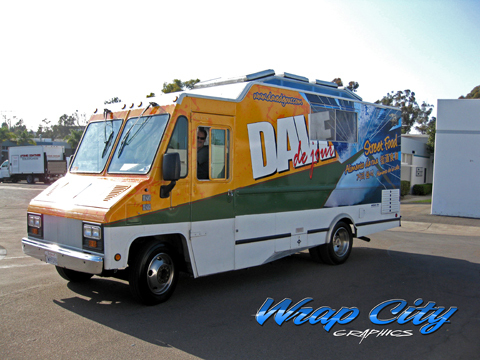 Wrap City should be your first and only stop for all of your advertising needs. 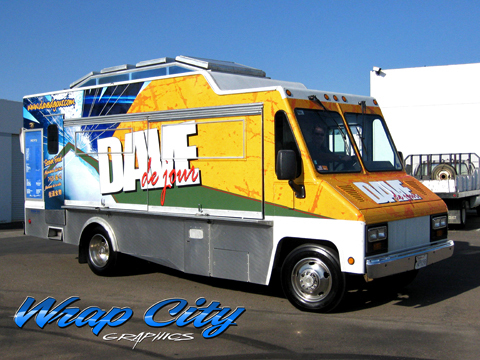 We are able to design, print and install your vehicle wraps, and offer prices that can’t be beat! Advertising through magazine and Yellow Page ads are expensive and might not give you a the return you want. Stop wasting money and energy on ad techniques that don’t work. Take charge of your business and become your own advertiser! Wrap City is committed to your companies image and integrity. We design high-end ads at prices that can’t be matched, your satisfaction is our mission! 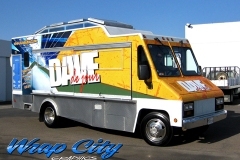 Posted in Latest Projects, Truck Wraps, Uncategorized.